The Qijiayuan Diplomatic Residence Compound is located in the First Embassy District, Chang'an Avenue, and it’s adjacent to the Jianguomen Business District （East Second Ring Road Section）and the Guomao Business District（East Third Ring Road Section）. The first phase of the project consists of 7 multi-story apartments and 13 small villas, providing offices and accommodations for embassies in China, representative office of international organizations, internationally renowned companies and foreigners. 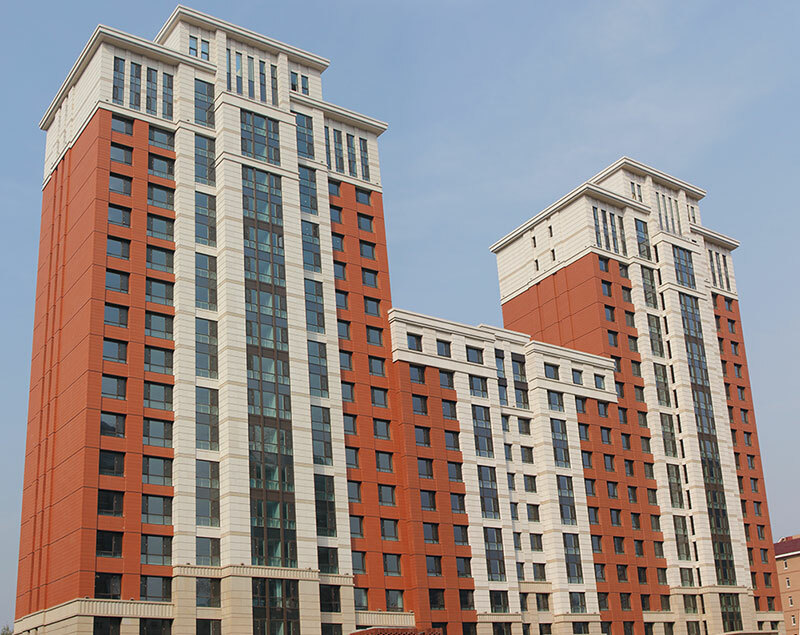 The residential project enjoys a great reputation for its high-end property service quality, comprehensive supporting facilities and superior location. With the increasing market demand, the real estate developer has been working on phase 2 of the project by adding new office and residential buildings. With a total area of 54,870 square meters and an overall floorage of about 100,000 square meters, it consists of two 20-story office buildings and a 22-story residential building. The Qijiayuan Diplomatic Residence Compound is located along Chang'an Avenue and its early buildings can be traced back to 1958. The first phase of the apartment has been included in the modern architectural heritage of Beijing. 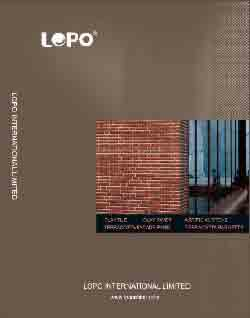 The second phase of the architectural design needs to consider 2 factors：the protection of the original buildings and the interaction between the old and new buildings, thus ensuring the harmony of the exterior and style. In terms of design, the designer set a minimalist, elegant, calm and solemn tone to maintain the integrity of the facade style of the diplomatic apartment compound along Chang'an Avenue. By using the classic vertical division method, through well-though and sophisticated proportion, the elevation is divided into three layers, so that the two buildings are not only in harmony with the original buildings, but also enhances its slender and upright visual impression. 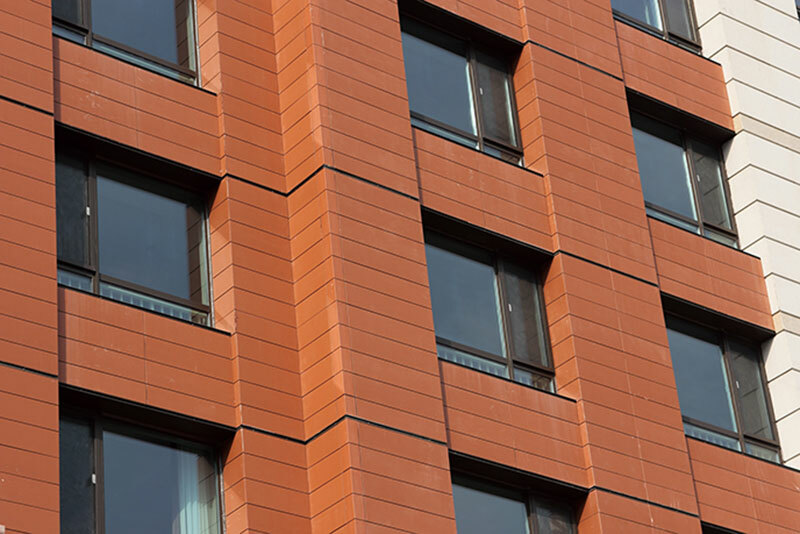 As for building facade materials, the designers hope to restore the architectural expressions in the past and present the style of that era. However, be it from the perspective of aesthetics and architectural techniques, it is unrealistic to replicate historical buildings. 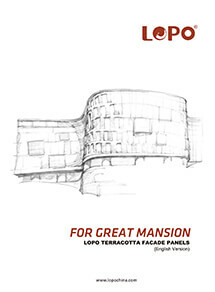 Therefore, the designers finally use the new techniques and new building materials to carry out the “stylistic restoration” of the whole building. 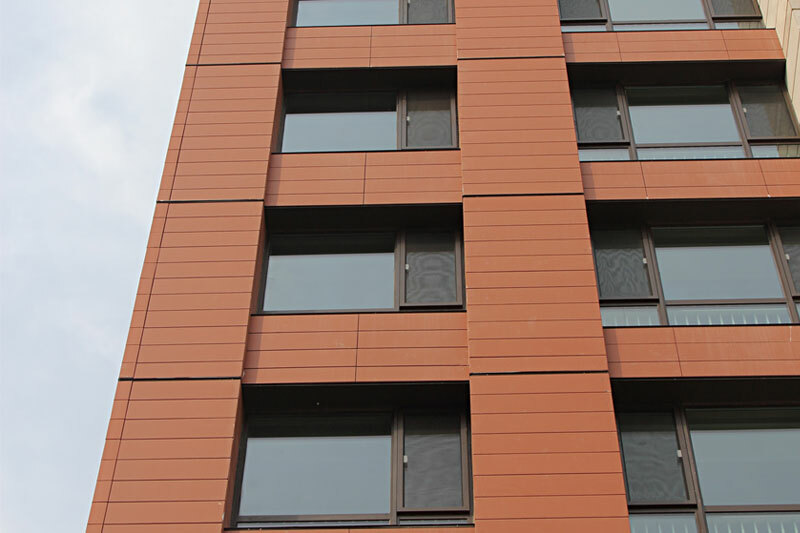 It shifts from the architectural facade coating materials and tiles to the red terracotta cladding and the gray-white stone. 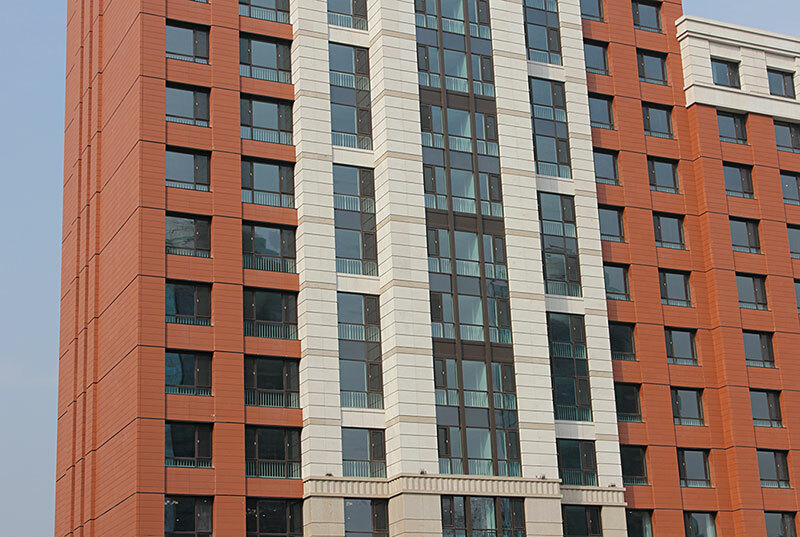 The division of the facade of the terracotta curtain wall is well-structured, minimalist and meticulous. 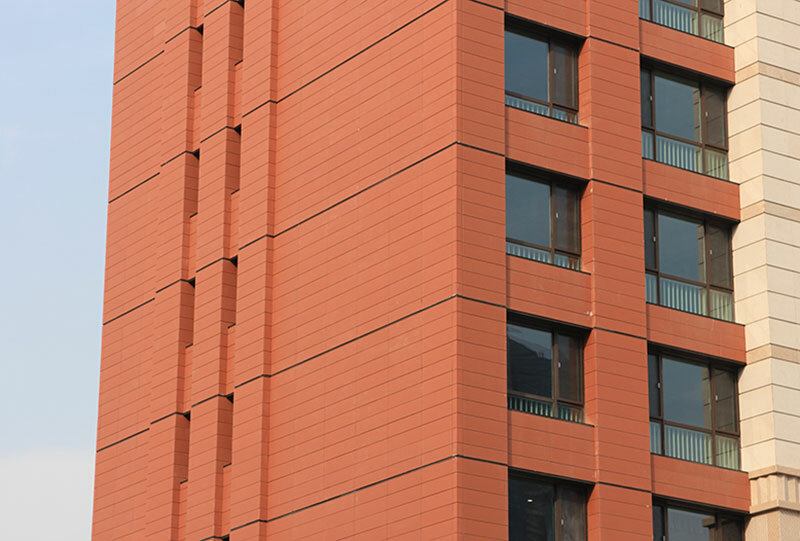 Triangle-shaped terracotta unit is applied as the corner, which make the facade uniform and neat. The color and tone of the overall facade continues the style of the original buildings, and the crimson tone is warm and elegant. Thus, the historical buildings and modern architecture co-exist in perfect harmony.